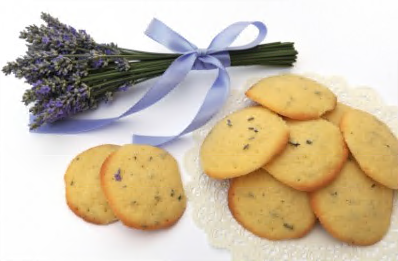 Lavender is one of those herbs that we adore but that does give us challenges to grow in Queensland summers. The French and Tasmanians on the other hand grow it profusely with chill winters and hot, dry summers. Add a little lime or dolomite to your soil annually to help grow your own bush. ough to lightly flavour the biscuit. They were a popular morning tea bikkie at the Herb Gardens Galore workshops. Each spike of flowers is made up of hundreds of tiny flowers. We crumble these off the spike for these biscuits. Dried or fresh flowers are fine to use. I like the flavour of the L . dentata best but you can use most types. Avoid L. allardii and L. stoechas as they tend to be bitter because of higher Linool and camphor levels. Beat butter and sugar until creamy. 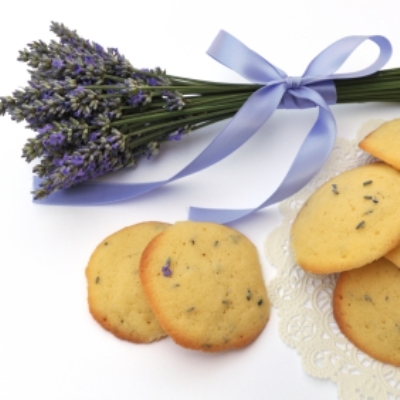 Add sifted flour, salt, almond meal and lavender flowers. Mix through with beaters on very slow speed until it all clumps together.